I like to think I am fairly open minded and wiling to change when it comes to training and coaching. As my experience has grown I have changed my opinion on certain things but many of the principles I believed in when I started training/coaching have remained quite constant. 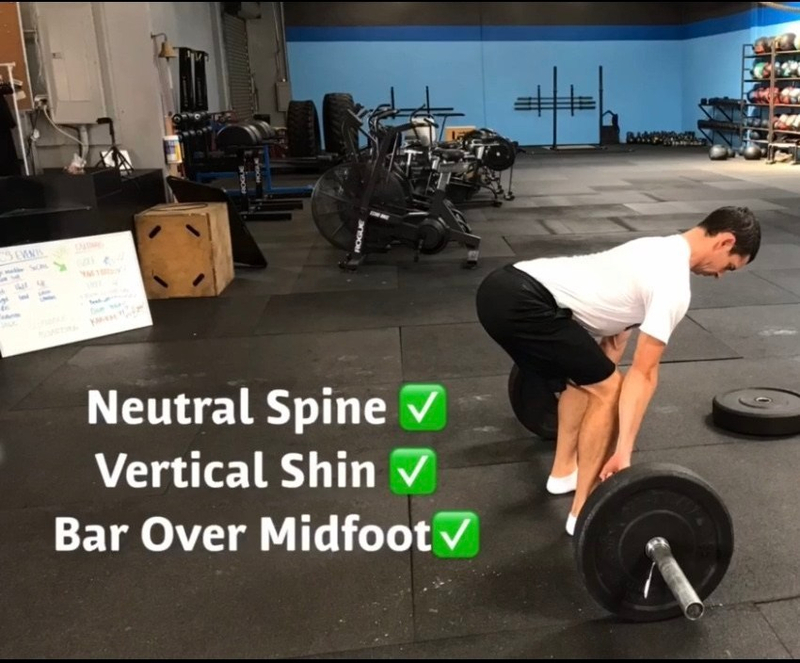 One of my unwavering beliefs is that everybody, regardless of sport, or training goals should learn how to hip hinge (aka deadlift) proficiently, and build up a good level of strength in the movement. Whilst it’s great for the general population who want to improve general “fitness”, and quality of life, it also happens to be an exceptionally useful movement for golfers. I teach it to everybody I train,. If I think about how I can help golfers, and strip it down to the bare essentials I consider necessities, I generally think of two main concepts. It’s easy to fall into traps when trying to break complex matters into independent parts as nothing in the body or movement happens in isolation, but I think it’s a good way to challenge ones thinking and clarify thoughts. So what do I feel like I really need to develop in a golfer I’m going to be working with, either in person or one whose going to be following an online program? The ability to get into a good athletic posture and maintain it. This will allow a golfer to resist “losing their spine angle”, and also enable them produce a considerable amount of ground force, all important for club head speed (CHS). If you lose your posture too early, you cannot maximise your CHS. The ability to carry out an athletic rotational motion. The hip hinge mainly helps with the first point above, but good posture definitely helps in setting up efficient rotation. An excessively extended or flexed posture makes rotation much more difficult. The hip hinge is how we take our bodies from standing upright into a position to address a golf ball. If you cannot do it, it is likely your address position in the golf swing is sub optimal for power production and injury prevention. Being able to achieve good range of motion and strength in the hip hinge gives us most of the mobility and stability qualities required for a powerful, efficient swing. Training the hip hinge with progressively heavier weights is a great way to increase the potential ground reaction force you can produce. Although the weight is being held in our hands, it’s the amount of force we push into the ground with our feet, powered by our legs, dictates strength level. This is critical for producing CHS in the swing. CHS is a very strong indicator of handicap. The hip hinge is a an excellent exercise for strengthening the muscles that run along the rear side of the body, making it a great choice for reducing the risk of injury to the lower back, a common problem area for golfers. It also does a superb job of strengthening the hamstrings, glutes, upper back, grip, and shoulders. There is very few muscles that aren’t strongly stimulated during a heavy hip hinge. All this while teaching excellent lifting mechanics that can be applied to scenarios in everyday life. Because of the huge number of muscle groups being stressed at once, the hip hinge is an extremely useful for those looking to gain muscle mass, burn fan, and learn how to use their bodies as one coordinated unit (like we do in the golf swing). This cannot be replicated by weights machines which you see in many gyms. There is also a considerable demand on the heart and lungs, as you need to pump blood to a huge amount of working muscles. One caveat to performing the hip hinge / deadlift is that changes in technique, can significantly increase stress to the structures of the lower back, and reduce the load placed on the large muscles of the hamstrings, glutes, and lats. This is something we want to avoid. The main mistake people make performing the movement is flexing or rounding at their lower backs as opposed to hinging at their hips. I would not let this put you off experimenting with the exercise though. Our spines are not as fragile as some people like to think, and as long as we concentrate on good form, and build up weight appropriately, there is very little to worry about. The best way to safe guard our back against injury is not to avoid loading it, but to gradually strengthen it by exposing it to progressively more stress over time. In simple terms this means don’t be afraid to do exercises that stress your back, we need stress to get stronger. Just become proficient with your technique, and build up the resistance you are using gradually over time. The video below shows the hip hinge being carried out with a barbell employed as the means of resistance. A “Hex Bar” is also a great choice. Dumbbells and Kettlebells can be great for learning technique, but generally become either too light to keep driving strength adaptations, or become too difficult to grip in the case of Dumbbells. The technique is very simple in theory, but often not easy for people to master. Master the movement without any weight first. The dowel hip hinge is an excellent drill to help with this. Elevate the bar off the ground in some way. Do not try to lift the bar from the ground at the beginning. As you gradually increase in mobility, stability, and control, load can be added and a bigger range of motion can be employed. Take regular videos from a side on position to evaluate your technique. Here is a new updated video, which covers many of the same concepts, but also shows common mistakes. This is a difficult question to answer, because each variation shown above, will be harder or easier based on the level of elevation of the bar. A simple way to ease yourself in is the guide below guide. A nice experiment for you to try is to plot your current deadlift / hip hinge strength VS your CHS and watch the trend as your deadlift / hip hinge strength increases. FIT FOR GOLF 12 WEEK ONLINE TRAINING PROGRAMS. For a limited time you can receive 20% off be entering FFG20 in the coupon bar at checkout. Over 500 people of varying age, fitness level, and golf ability have used the programs to date and feedback has been very positive. you’re doing a great job Mike.. see you in Oceanside.